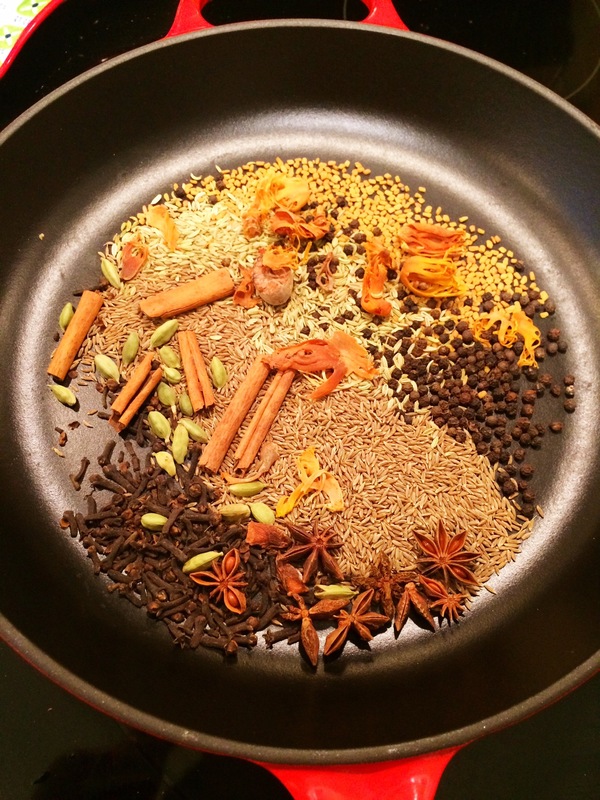 Garam Masala – One Half Indian. 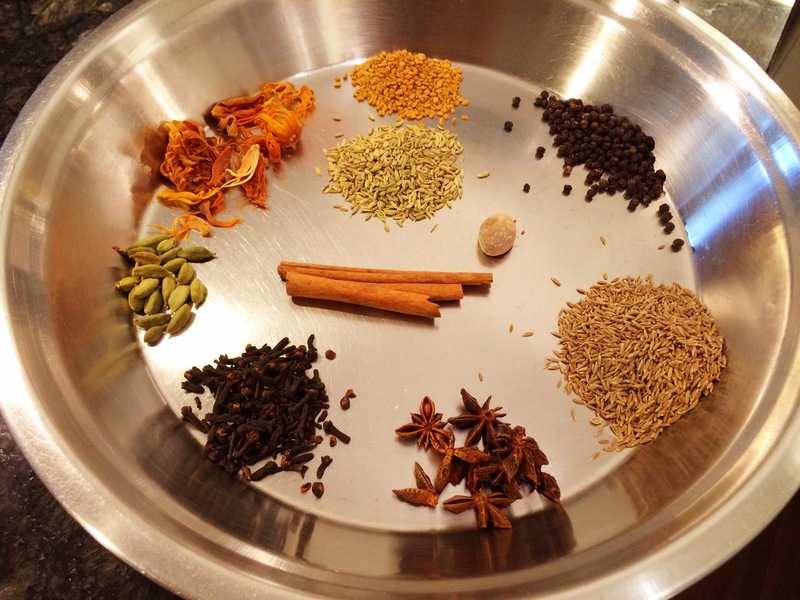 The origins of garam masala can be traced to Ayurveda, which is an Indian philosophy of medicine (one that is debated in my house from time to time…common side effects of an east-meets-west marriage). The Hindi word “garam” means heat and “masala” means spice blend. Although “garam” does mean heat, in this sense, the word heat does not equate to spicy heat. Instead, “garam” is meaning that the spice mix can make a person feel warm; and due to this, garam masala is more commonly used in winter months in India. It can be used as a rub for meat, seasoning in a dish, or sprinkled on top at the end of a dish to give it some heat and fragrance; it’s an awesome all around spice. I never really knew how good garam masala could be until I married my husband and had it fresh. 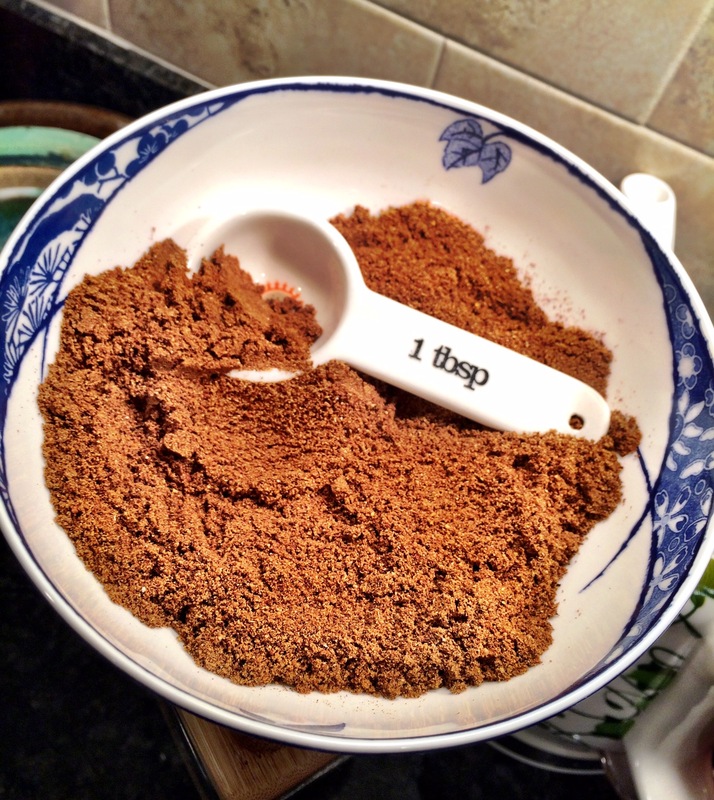 This spice mixture has such a rich flavor when you toast the spices whole and grind them yourself. I first started buying whole spices any grinding them myself because it was cheaper, but now, I do it because the flavor is really that much better. This recipe is from my mother-in-law and husband. In fact, my husband made this batch and took the photos. (He also provided all the info about the origins of garam masala and all that intelligent sounding stuff in the first paragraph. ) Thanks, Rajat! Heat a heavy bottom pan over low heat. Add the spices. Toast them over low heat for 15-20 minutes. Stir the spices occasionally and be careful not to burn them. Remove spices from pan and allow them to cool. Once cool, grind to a fine powder in spice grinder or small food processor. Sounds delicious, would love to see a photo of the end result! There is a photo of the end result in the middle of the post. It is ground and presented in a bowl in the photo. Thanks for stopping by!